HF: New Information in red. 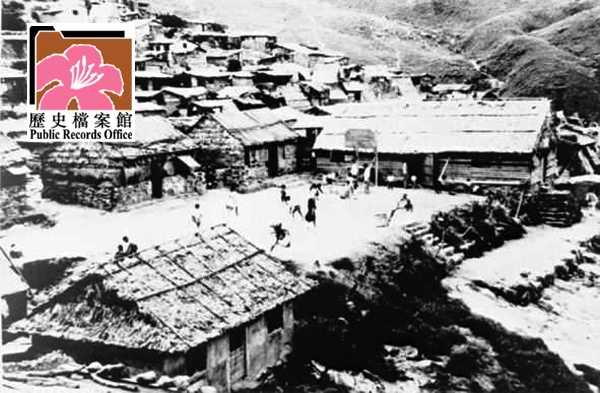 Following AH Rennie’s suicide on April 14, 1908, the site of the Hongkong Milling Company was left vacant. It’s workers were laid off and the mill was left to various receiverships. There was no interest in restarting the business. A syndicate of local banks appear to have taken over ownership of the mill. I can find no trace if what happened to this substantial site until 1925 when the Hong Kong government bought it for HKD150,000, (I do not know who owned the site at this point and who the money was paid to). The government converted the mill into a Quarantine Station which operated for three years until it was abandoned. In 1935 the mill was demolished by the government leaving a 250,000 square foot cement court. 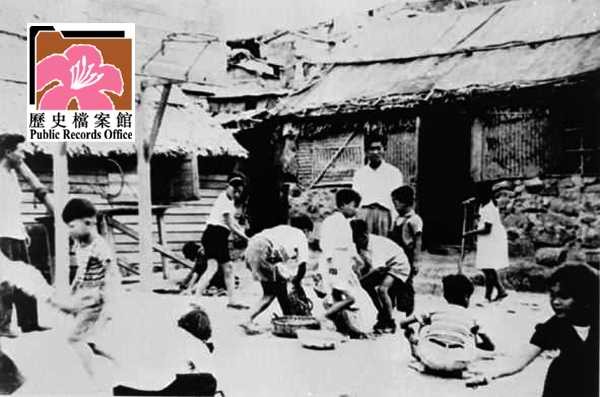 The last known use of the Hongkong Milling Company site was in 1950 when the Social Welfare Office established a camp for at least part of the remnants of the Kuomintang army which had fled from China into Hong Kong rather than Taiwan. One source suggests that this settlement took place on June 26, 1950. According to an official government account 6,800 people were relocated. It seems unlikely they were all moved on one day, possibly this date is when the camp opened. “The factory site was re-developed as a secondary school at Tiu Keng Leng refugee camp in the 1950s”. Extracted from a EPD, Impact on Cultural Heritage Report, 2009 (?). On 26 June, 1950, several ferries transported 7,000 refugees towards a place called Diu Keng Leng, now called Tiu Keng Leng. When they boarded the place, they found it abandoned and isolated, virtually nothing except for some A-shaped sheds made of oil paper and sticks quickly built by the then Hong Kong colonial government in a matter of days to house thousands of them. Diu Keng Leng literally means “hanging the neck” hill, where a retired Canadian official named Albert Herbert Rennie bought the land and ran a mill for manufacturing flour but the business was bankrupt in three years’ time. He hanged himself and the place was consequently named after the incident. When the refugees were moved here, the place had a level ground previously belonging to the mill and that was about all. Wild dogs. Wild grass. No roads. No running water. No electricity. The refugees were basically dumped here by the Hong Kong colonial government. They had virtually nothing, except for the stuff they still had with them after they started escape. HF: This account of Rennie’s death is incorrect as he drowned himself but is interesting in showing how the first refugees were “relocated” to the area. They built the town called Rennies Mill which was demolished immediately prior to the 1997 handover. These Nationalists were an unwelcome and presumably embarrassing presence in those years, endangering the British colony’s neutrality, and therefore were shipped off to the flour mill site, a remote area which was difficult to get to and from. 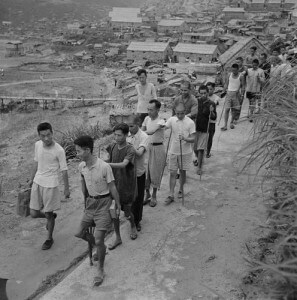 The Hong Kong government’s original intention was to settle these refugees temporarily before they they were either moved to Taiwan or repatriated to Mainland China. This did not happen and the town of Rennies Mill or Tiu Keng Leng developed. A fascinating part of Hong Kong’s history. However, I am straying from the original industrial focus on the Hongkong Milling Company and AH Rennie.